Intel® Socket 1155 for 2nd Generation Core™ i7/Core™ i5/Core™ i3 Processors. Supports Intel® 32 nm CPU. Supports Intel® Turbo Boost Technology 2.0. 2 x DIMM, Max. 16GB, DDR3 1333/1066 Hz Non-ECC, Un-buffered Memory. Multi-VGA output support : DVI/RGB ports. - Supports DVI with max. resolution 1920 x 1200 @ 60 Hz. - Supports RGB with max. resolution 2048 x 1536 @ 75 Hz. 4 x SATA 3Gb/s port(s), blue. Realtek® 8111E , 1 x Gigabit LAN Controller(s). Realtek® ALC 887 8-Channel High Definition Audio CODEC. Intel® H61(B3) chipset: 10 x USB 2.0 port(s) (6 at back panel, black, 4 at mid-board). - ASUS UEFI BIOS EZ Mode featuring friendly graphics user interface. - ASUS EZ Flash 2. 1 x LAN (RJ45) port(s). 2 x USB 2.0 connector(s) support(s) additional 4 USB 2.0 port(s). 4 x SATA 3Gb/s connector(s). 1 x Chassis Fan connector(s). 1 x 4-pin ATX 12V Power connector(s). 1 x parallel port connector(s). 32 Mb Flash ROM EFI BIOS, PnP, DMI v2.0, WfM 2.0, ACPI v2.0a, SM BIOS v2.6, Multi-language BIOS. uATX Form Factor 9.6 inch x 8.0 inch ( 24.4 cm x 20.3 cm ). 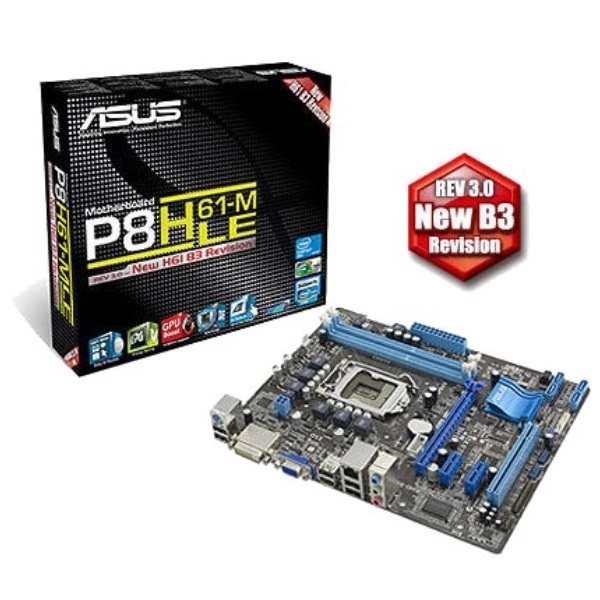 Clique no botão abaixo para adicioná-lo Placa Mae ASUS P8H61-M LE Socket LGA 1155 (P8H61-M LE) - OUTLET para sua Lista de Favoritos.